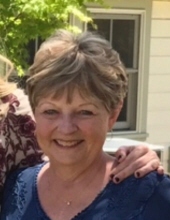 Betsy Ross Ritzel, age 72, a resident of Naperville, IL since 1977, formerly of Wheaton, IL, passed away peacefully on Thursday, January 24, 2019 at Edward Hospital, Naperville. She was born October 18, 1946 in Hopkinsville, KY to Mary Carolyn (nee Nichols) and the late Tom Ross. Beloved wife of Carl B. Ritzel, whom she married July 27, 1968, loving mother of Brott (Carrie) Ritzel of Murphys, CA, Major Brad (Jeanine) Ritzel, U.S. Army Special Operations of Fort Knox, KY and Kristin (Arik) Keller of Newburyport, MA, adored grandmother of Alyssa, Beck and Cate Ritzel; Avery, Carson and Payton Keller, dear sister of	Scott (Marybess) Ross of Hopkinsville, KY and Jenny (Joe) Saling of Hoover, AL, dear sister-in-law of Georgiarae Wagoner of Greenwood, IN, fond aunt, great-aunt and friend to many. Betsy grew up in Crofton, KY and graduated from The University of Evansville, Evansville, IN with a BA in French. An enthusiastic Francophile, Betsy taught languages, primarily French, in middle school for many years at Lincoln and Jefferson Junior High Schools in Naperville. Betsy was a member of St. Raphael Catholic Church, Naperville and continued to enjoy tutoring French after her retirement from teaching. Visitation will be held Wednesday, January 30, 2019, 4:00-8:00 PM at Friedrich-Jones Funeral Home & Cremation Services, 44 S. Mill St., Naperville, IL. A Mass of Christian Burial will be celebrated Thursday, January 31, 10:30 AM at St. Raphael Catholic Church, 1215 Modaff Rd., Naperville, IL. In lieu of flowers, donations in Betsy's memory may be made to a charity of the donor's choice. To send flowers or a remembrance gift to the family of Betsy Ross Ritzel, please visit our Tribute Store. "Email Address" would like to share the life celebration of Betsy Ross Ritzel. Click on the "link" to go to share a favorite memory or leave a condolence message for the family.